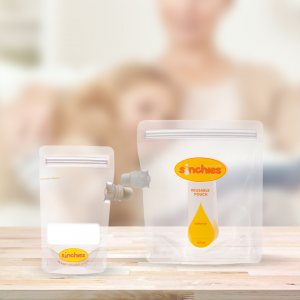 Sinchies reusable food pouches have proven to be the perfect feeding aid for people with various medical conditions. Originally designed to feed babies and small children, Sinchies are now frequently used to allow people of all ages who have a disability or oral aversion to ingest the nutrients required to keep them alive and healthy. – head and neck cancer. For people with disabilities and special needs, eating ‘normally’ can be difficult—sometimes even impossible. Sinchies can solve a lot of problems faced by people with disabilities and special needs by simplifying the feeding process. Our pouches are easy to fill with your own blends and purees, and the contents can then be squeezed out through the nozzle and into the patient’s mouth. Stroke victims and those suffering from dementia often have trouble feeding themselves. In some cases after a stroke, people are unable to open their mouth wide enough to fit a spoon in. In situations like this, Sinchies products can make a world of difference. 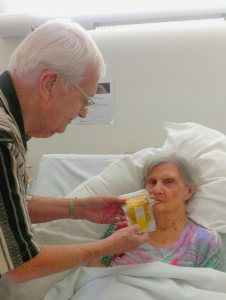 Our products have been used to great success in aged care facilities. Read more about how Sinchies helped a stroke victim also suffering from dementia. 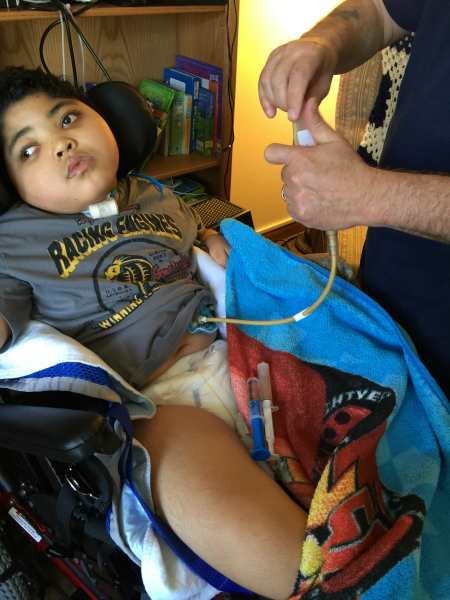 Sinchies products can be used to feed people who need to use G-tubes or feeding tubes. For example, people who suffer from CHARGE syndrome and are on a blended diet. Our reusable food pouches come in a range of convenient sizes to allow people greater mobility while being fed through a tube. They can even be stored in a small backpack. Find out more about how Sinchies can help people using a G-Tube and those on blended diets. Children born with a cleft palate often have difficulty eating and require multiple surgeries up to and beyond 8–12 years of age. Sinchies reusable food pouches have helped make life easier for people with cleft palate (and those caring for them). For example, parents are able to squeeze puree onto the tip of their child’s tongue and keep food away from any healing wounds. Read more about how Sinchies helped a child with cleft palate. See some of our Sinchies reusable food pouches below, or head over to our online store for more information.